The self storage Sydney has evolved and now the industry has gone to mobile self storage. It is a system wherein individuals rent depot units or containers. All these containers are stored within a large warehouse to store their goods and belongings. In this facility, you can guaranty that your items are secured and safe while they are on depot company’s premise. And when it comes to such demands and qualities, Macy’s Mobile Self Storage can definitely provide it to you! Planning to have a move for a year or so? But you’re wondering what are you going to do with all the items you’ve invested to? Then, you’re on the right place. Let’s say that you no longer have enough space in your home and you already need a place where you can store some of your books, odds and ends until you get somewhere bigger. If your parents aren’t that willing to make their spare room available for your stockpile, then it’s about time to start looking for a clean and safe location where you can keep them. With a growing population and trend towards high-density apartment living, more Australians are becoming wise when it comes to maximising their space. Aside from trying some hacks for the depot at home, some are just giving the task of storing to the depot companies. There’s a large number of self storage Sydney facilities both in the inner city and outer suburbs. So, finding the right depot company who can provide you with the right service you need can be a bit challenging. When leasing a self storage Sydney, you have to see first assess what kind of depot you need. Are you going to get the small or the big one? Is it going to be a long or short term type? These are some of the things that you have to consider before you get one. Yet, whatever type of units you need, Macy’s Mobile Self Storage can absolutely provide it to you. From packing items to keeping your belongings secure and undamaged, you can rely on us! Our company has a wide range of knowledge when it comes to storing sort of items. We also offer packing tools if you still don’t have any like boxes and wrapping materials. Our company has a trustworthy team that you can rely on. No matter how big or small the quantity of the items you’re going to store, whether it’s a massive number of books when you’re having a library relocation, for instance, we can deal with it. Are you planning to have a renovation or move probably because of a failed relationship? Then, keeping some of your belongings while you’re still looking for a good place where you can transfer is a good thing. We can offer you both, short and long term self storage Sydney. So, the only thing that you’re going to look for is a place where you can spend most of your days and nights. Aside from that, Macy’s Mobile Self Storage has a user-friendly website too. We have informative articles, hacks and tips that might help and assist you through the process of packing, preparing and loading your stuff in our depot units. Included to that is you no longer have to worry about a truck that’ll do the loading and unloading, even delivering items down the long corridors. 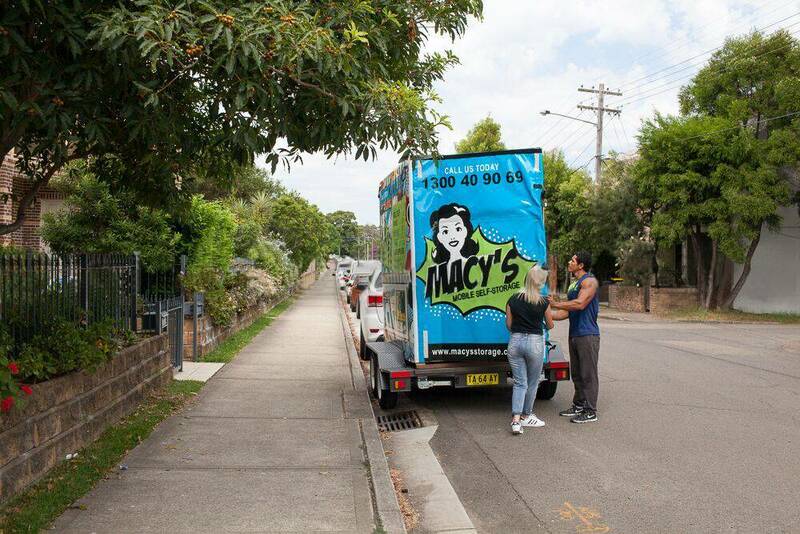 Macy’s self storage Sydney bring the storage module right to you that makes the whole process simple. We’ll just load and lock it up and then you can call us for collection. Easy, right? With such a simple relocation process, you’ve saved time money, stress and effort. With all the tips, hints and free wrapping blankets that Macy’s offer, you know your goods will be safe and sound when you’re dealing with a reliable depot company. So, what are you waiting for? Give us a call today for more details about our self storage Sydney and other depot units we offer. You can also leave suggestions and comments about us and see to it that we’ll work to improve it. This entry was posted in Storage and tagged long term self storage, self storage, short term self storage, short term storage, short term storage sydney.